As many people know, the Umarex Fusion is a development of the Xisico XS60C which, in turn, was a development of the QB78. And of course, the QB78 is a modern clone of the original Crosman 160 of 1955, or thereabouts. So, CO2 air rifles powered by two Powerlets have a long history and there are strong design similarities across all of these guns. 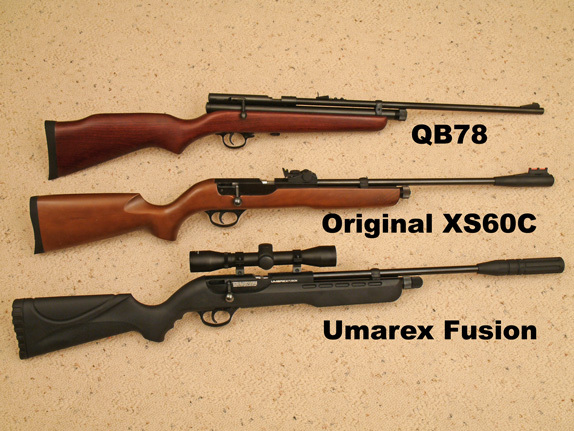 The photograph shows the Fusion (with scope) alongside an original XS60C and a QB78. The original XS60C - there’s a new version arriving soon that will be very similar to the Umarex Fusion - was a CO2 air rifle of great potential. Unfortunately it suffered from seemingly unstoppable gas leaks and an automatic safety that did not work consistently. That’s why Archer Airguns never sold the original XS60C, although I really, really liked the gun if it could just have been safe - like the Fusion. - The noise reduction system works. It’s quiet. Not Marauder quiet, but still much quieter than a QB78. - I detected no gas leaks. - Although this was a short test, the new automatic safety clearly works. I’m sure that Umarex has done much more testing than me and are very sure of that! - Muzzle velocity is less than I expected but still OK. 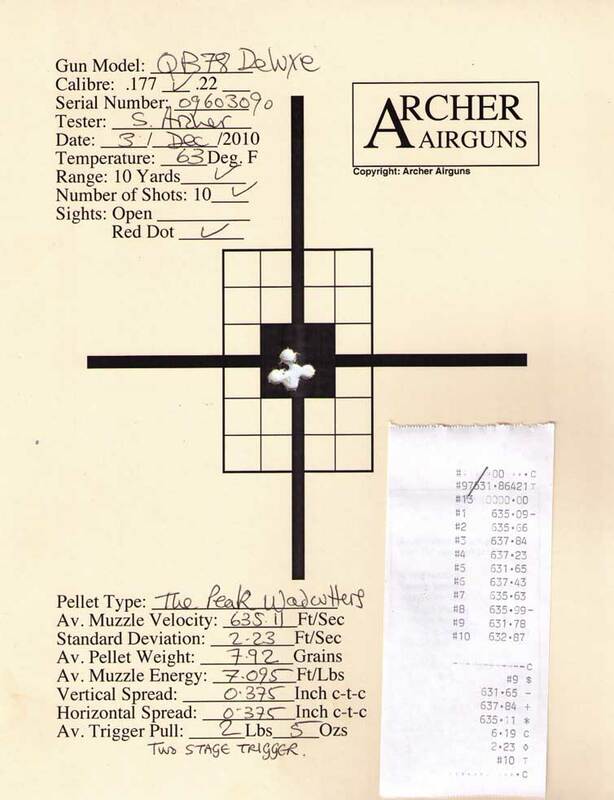 I found 630-640 fps with “normal” 8 - 9 Grain pellets. Umarex claims 700 fps with “lead pellets”, probably based on 7.0 Grain RWS Hobby pellets - and likely at a higher temperature than the 68 degrees F I tested at. 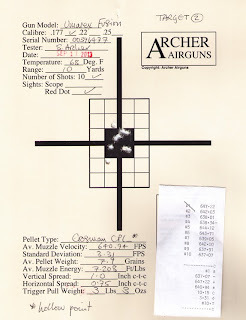 The muzzle velocity of all CO2 air rifles like this increases by about 2 fps per degree Farenheit - so any muzzle velocity claim that does not include at least the ambient temperature along with the pellet weight is really not worth the paper it’s printed on. 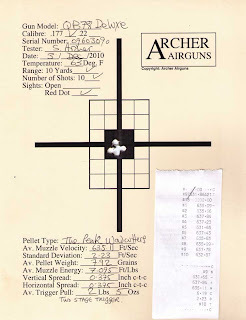 - My test gun was very pellet “picky”. Will this be typical? Obviously I don’t know yet. For this first test review, I simply set up the Fusion as I would for a normal “Gold Service” test of a QB78 - as we’ve done thousands of times over many years. 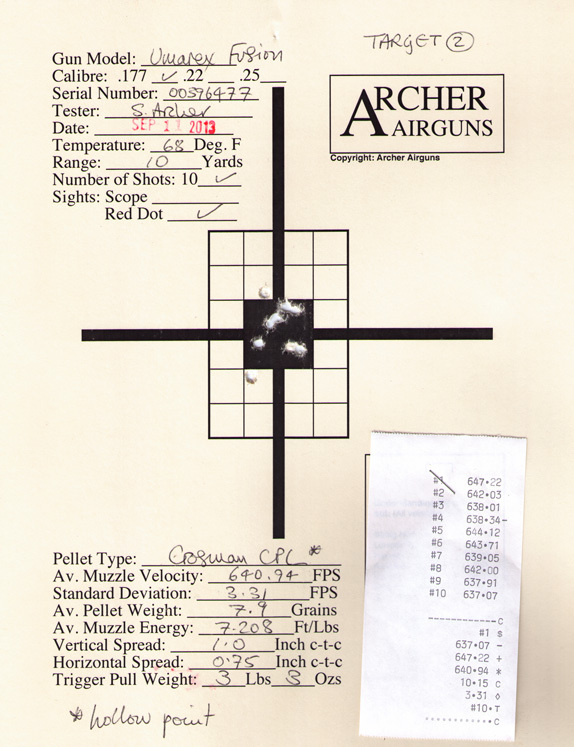 This old test target gives an example of a QB78 Deluxe in factory condition (except for a 2-stage trigger conversion) that shot a little faster than usual - in the 635fps range with Peak wadcutters at 62 degrees F. But it’s fairly representative and so is a good baseline for our Umarex Fusion test. 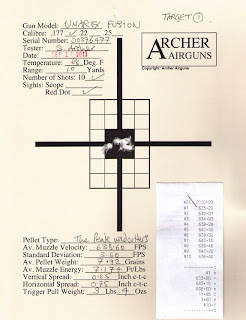 So here’s the first 5 test targets I shot with the Umarex Fusion, in order and just as I shot them. 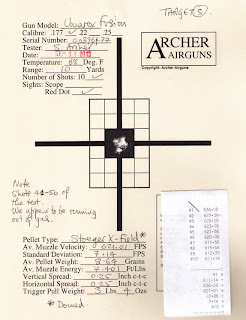 Target 1 gave poor accuracy with the Peak pellets that usually work well in QB78s. I tended to spread them across the target, as you can see. 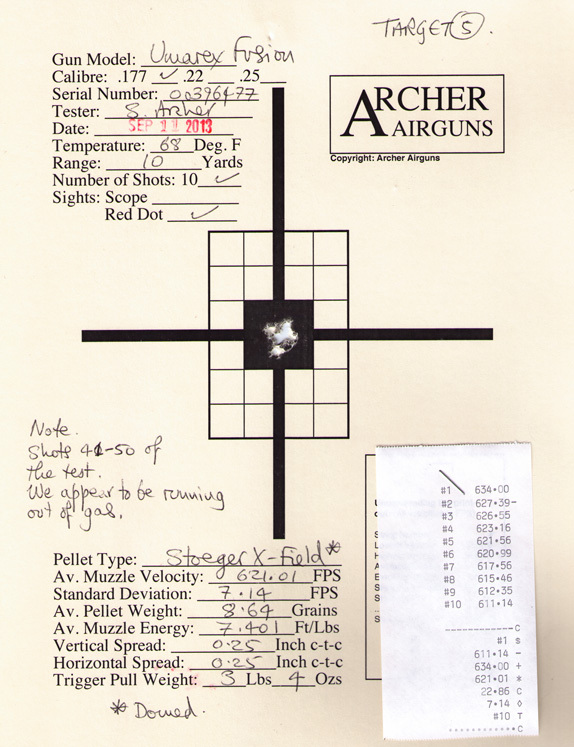 But Standard deviation - muzzle velocity consistency - was excellent and muzzle velocity OK at 638 fps. For Target 2, I decided to try that other great general purpose pellet, Crosman Premier Light hollowpoints - as widely sold at WalMart. Whoa! What happened here? 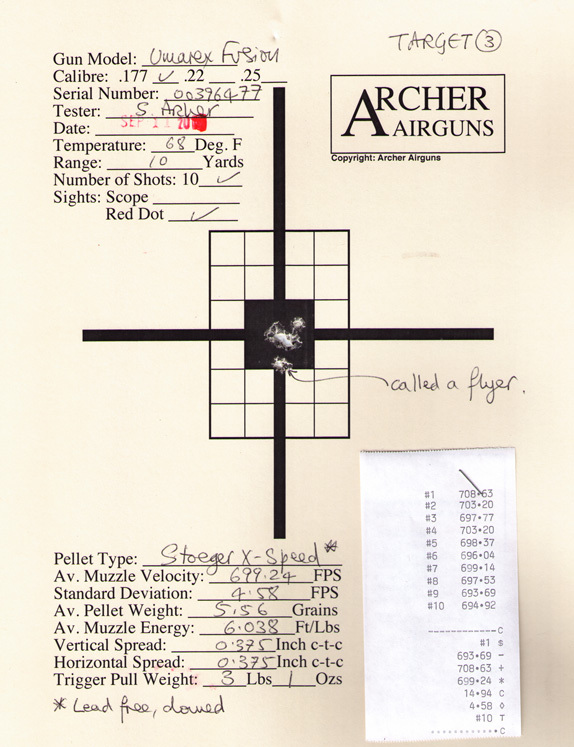 Muzzle velocity and consistence were good, but my target looked like one from a shotgun, not an air rifle! This is unfortunate as many Fusion customers are likely to buy these pellets from WalMart, in spite of the manual’s exhortation to use only RWS pellets. 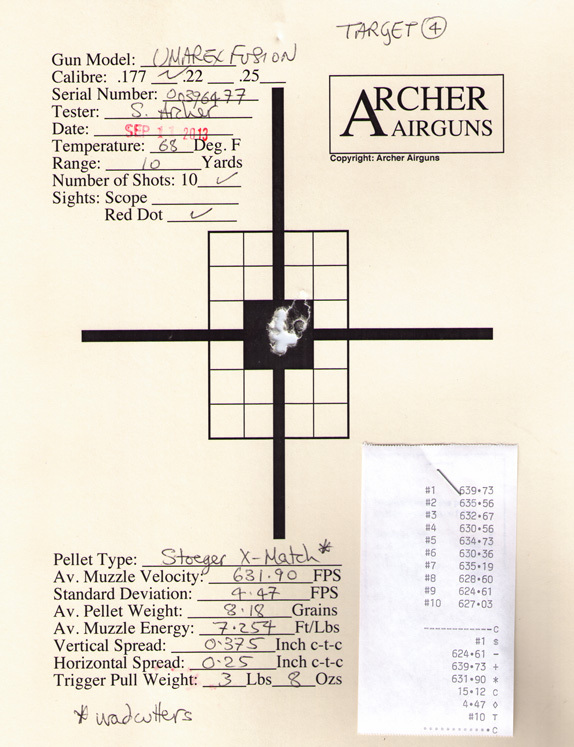 Target 3 was shot with Stoeger X-Speed pellets. These are the best-performing lead free pellets that I’ve found. 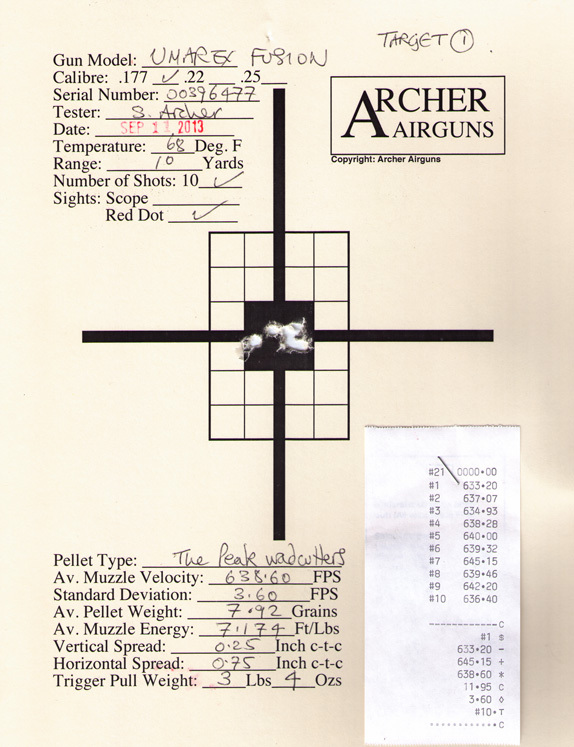 Here the group was much better and the muzzle velocity hovered around 700 fps. Still below Umarex claims for the Fusion, but not bad. I called one flyer from this target. Target 4 restored my confidence that I could actually shoot! The Stoeger X-Match wadcutter pellets gave good results and a group that’s about as good as I can normally achieve with any air rifle. Finally! That’s more like it! 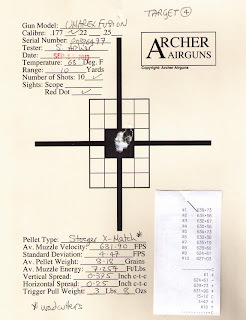 Target 5 gave excellent accuracy with Stoeger X-Field pellets, although it was clear that the Fusion was starting to loose muzzle velocity from around shot 40 - rather than shot 50 as I had expected. So there’s my first review and test of the Umarex Fusion. It will certainly not be the last and I look forward to the arrival of the similar “new” XS60C as well. Can the fusion be used with the CO2 from only ONE full tank? Of course it can. You just put in a used 12 gram capsule to fill the space and insure the full capsule is pierced. Same initial pressure, but it will drop slightly faster with less gas per volume in the chamber. It's amazing air rifle. I have a gamo silent cat air rifle. you can hunt any small animal by this air rifle. It has no sound when it is fire. 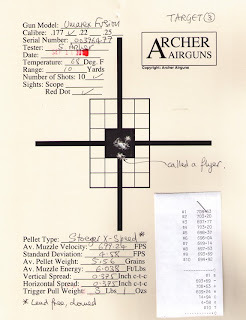 I think this is the most perfect air rifle of your hunt journey. 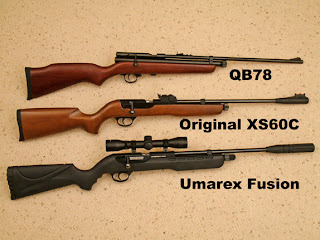 So I think you should choose best air rifle for hunting.